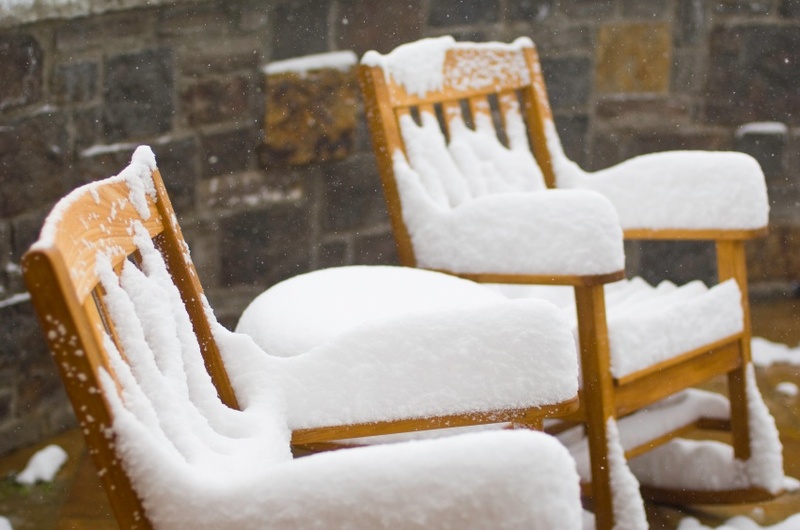 When autumn leaves are on the trees, and the crisp smell of Fall is in the air, its hard to imagine that winter is right around the corner, but alas, it’s time to start thinking about protecting your outdoor furniture. In these modern times, the outdoors are becoming more of an entertainment space in the winter months with the addition of coffee tables, umbrellas, pillows and area rugs. Let Elite Designer Services help protect these investments. 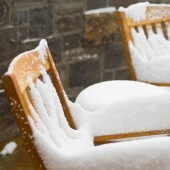 Harsh midwest winters can harm your wood or iron outdoor furniture. Let our professional team take the worry off your hands. 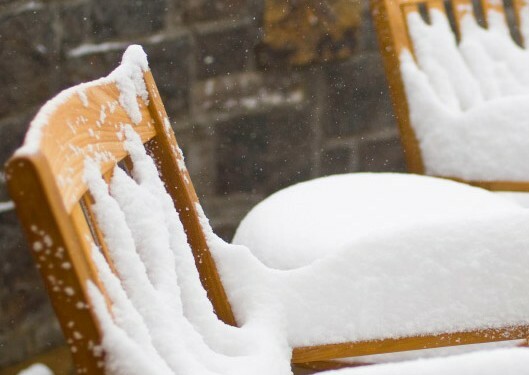 We will pick up and store your outdoor furnishings at the end of the season and deliver them back in the spring! • Aluminum: Aluminum patio furniture can be left out year round. However, make sure all the water is drained out of the frames. If you clean it up and put a cover over it will be fine come spring. • Wood: Wood can be left our year round, but should never be covered. If you cover it, the moisture may get trapped under the cover, which leads to mold and mildew. • Wicker: Wicker should be stored if possible. Left to the elements, wicker expands and contracts with heat and humidity, which could cause cracks and splintering. • Steel: Steel-frame furniture, if left outside, can rust, which could damage the furniture’s frame. • Natural stone: All natural materials have cracks and crevices. Particularly in the freezing weather, if water gets in, it will freeze and contract which can tear apart the tabletop. • Accessories: All fabric materials such as cushions and umbrellas should be brought inside for the winter season.